Superdry men’s Portland stripe pocket t-shirt from the Orange Label range. 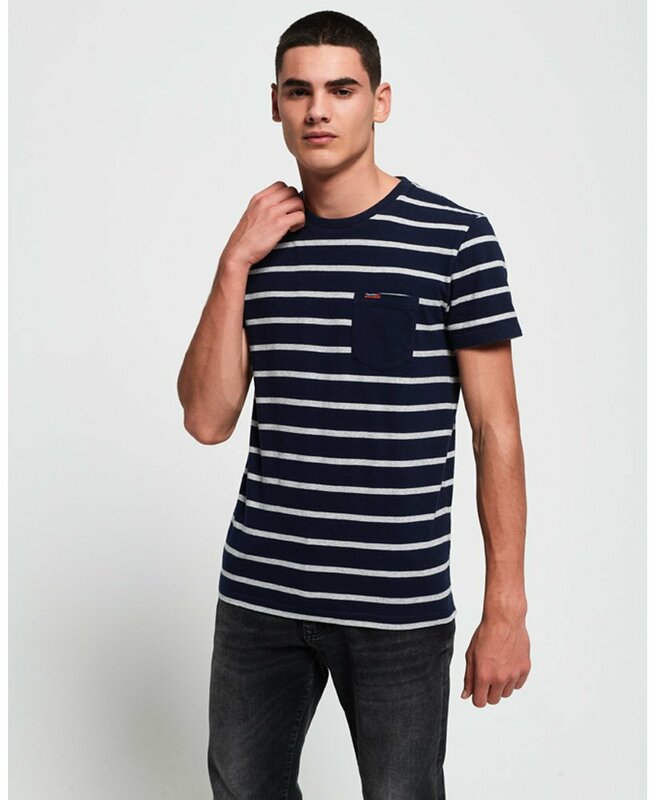 Update your stripe collection this season with this tee, featuring a single breast pocket with a Superdry logo tab and a Superdry tab on the sleeve. Team this tee with your favourite jeans and trainers for an off-duty look.